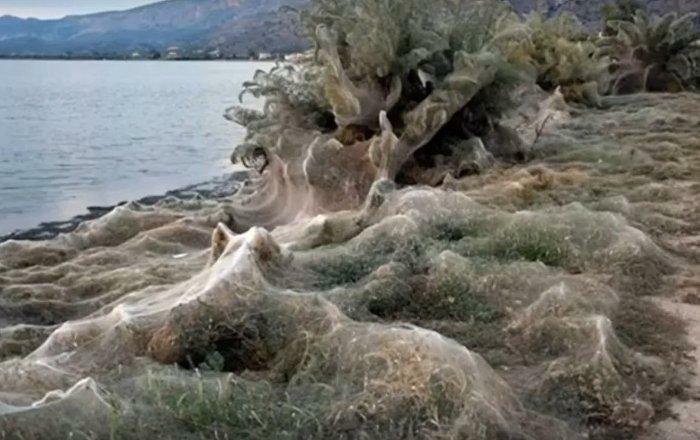 In the Greek city of Aitoliko, part of the coast was covered by a dense web. The web was covered not only by the beach, but also by trees with bushes. Most likely, the newspaper notes, the reason for the unusual phenomenon was the appearance in the region of a huge number of spiders because of the bred mosquitoes.